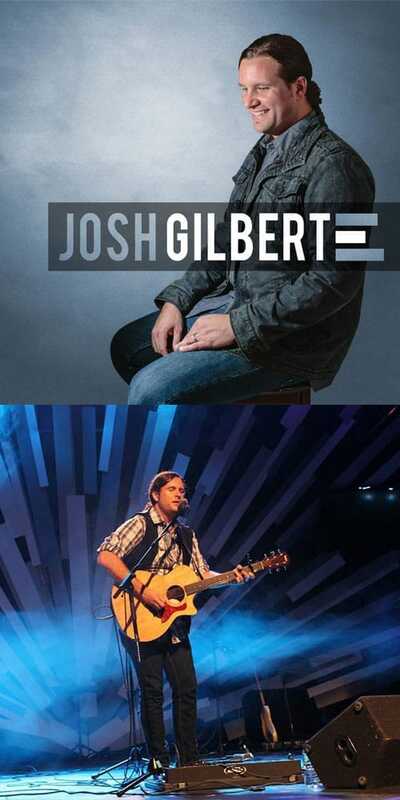 Josh Gilbert has been in Christian music ministry for over 12 years and has performed nearly 1000 shows covering 44 states in the USA and parts of Canada. His love for Christ and for music has led him to not only be a touring Christian artist but to also be a Contemporary Worship leader in Chattanooga Tennessee. Josh recently finished recording his first EP with Soncured Records and was able to work with the very talented producer Jason Hoard. Jason has produced for Third Day, Mac Powell, Natalie Grant, Casting Crowns, Shane & Shane among many others. The new EP produced Josh’s first national Christian radio single, Separate Us. This song has taken off and can be heard on Christian radio stations around the country. To book Josh contact us now or visit, www.bookchristianbands.com to get a free instant quote! “Looking forward to adding this song. Hugely positive feedback from our testing panel on the most singable, enjoyable, and encouraging song so far this year.” Dan on Josh’s new radio single, Separate Us.